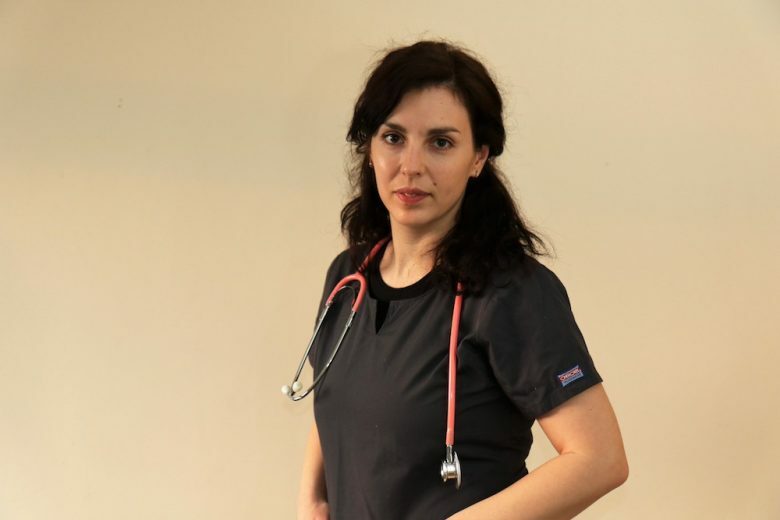 Dr Veneta Kozhuhrova (DVM, MRCVS, Cert, CFVHNut) has been a practicing veterinary surgeon since 2008. She has a Royal College of Veterinary Surgeon’s approved Master’s Degree, specialising in canine nutrition. Find out how her work as a vet treating avoidable common problems inspired her to launch Doggy’s Cuppa, a range of daily herbal doses to keep dogs healthy. 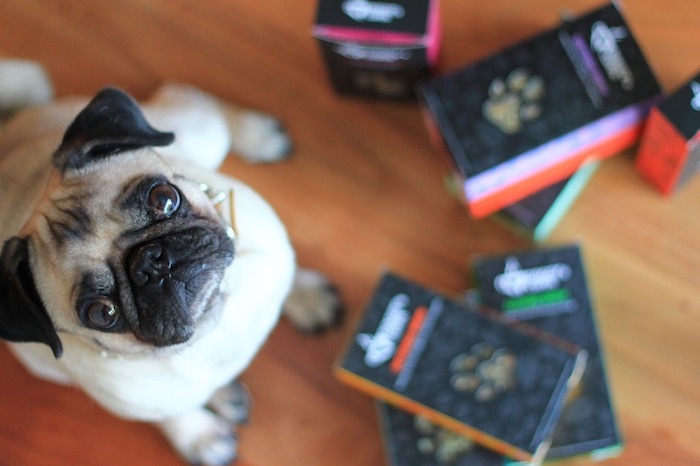 In a nutshell, we help you to give your dog a boost with a daily dose of healthy herbs. The more we re-evaluate our own eating and increasingly reject over-processed, conveyor belt food made with sub-standard ingredients and masking agents like salt and sugar, the more we realise that many of our dog food solutions are bland and lacking in true nutritional worth. As a fully qualified vet one of the biggest issues I face is convincing dog owners to only embrace the best pet food brands The market is very cluttered, and just because some brands are beautifully packaged, and marketed and even championed by larger veterinary chains, it doesn’t make them tasty, nutritionally buoyant food. The unfortunate truth is that many kibbles and tinned foods remain nutritional vacuums, made with back-of-the-barn meats, filler grains and synthetic flavourings, scents and preservatives. I was forever finding myself diagnosing and curing the same sequence of debilitating minor ailments, from digestion and urinary issues, to lethargy, obesity, canine angst and even flatulence! My goal was to assemble a range of ‘everyday affordable’ daily brews that tackled draining minor ailments head on. Why launch Doggy’s Cuppa now? It might sound strange from the perspective of a vet, but in these times of austerity, the more you can reduce the time you spend at the vet, the better. Just like NHS hospitals, veterinary surgeries need to be ring-fenced for the most serious treatments, not minor ailments caused by poor diets and inappropriate fitness regimes which can eventually cause diabetes, obesity and poor digestion. Doggy’s Cuppa’s focus is give relief to canines facing minor ailments such as urinary issues, poor sleep, digestion, nervousness, wind and in time old age. How did you go from idea to actual product? My Canine Nutrition qualification meant from time to time I was preparing herbal treatments for clients’ dogs to help tackle their minor ailments. Word got out and a growing number of customers asked if I would consider making regular batches of dog tonics for their pets. It was late 2016 when the penny finally dropped that I was providing a service that no-one else was offering. I spent six months looking into herb supply chains and in late 2017 was ready to launch at the National Pet Show. Today I remain primarily a day-to-day vet, but I hope one day to focus solely on my herbal tonic venture. What has been the biggest challenge you have had to overcome in creating Doggy’s Cuppa? It’s been important to get across that dog tonics aren’t a gimmick or an occasional doggy gift but a bona-fide daily solution to an unpalatable truth. Too many major dog food brands remain nutritionally inadequate, and as such are affecting pets’ long-term health. There are of course many great dog food brands out in the marketplace as well, however pet owners need to be label savvy. It has helped that unlike some of my direct rivals I’m a qualified vet as opposed to just being a commercial enterprise, so I can speak with authority, authenticity (and experience). Caring, conscientious dog owners looking to do the best for their four legged friends, as well as dog-friendly establishments (pubs, cafes and boutique hotels), plus independent pet food stores, groomers, garden centres and kennels. Any email from an owner saying how one of my treatments has made a real and lasting change to their beloved pet’s happiness and wellbeing. When we attended our debut show towards the back of 2017, (the National Pet Show), the amount of upbeat anecdotes relating to this idea being ‘long overdue and welcome’ was both exciting and humbling. Early adopters also bought into the fact that we insist on only using top-notch, human-grade herbs that are suitable for all breeds, sizes and life-stages, yet will do everything in our power to maintain everyday, affordable price points. How do you balance your family life and business? The fact that Doggy’s Cuppa is a family business doesn’t make my work hours any easier, but at least I’m working alongside my partner, sharing both the highs and lows. What’s your top piece of advice for aspiring entrepreneurs? Only embrace a project that truly inspires you as you don’t want to be wrapped up in a hugely costly time draining project that doesn’t excite you. Things will certainly get easier as you find your feet but in the early weeks and months expect to be immersed in problems and opportunities that need to be tackled head on and with gusto. Where would you like to see Doggy’s Cuppa in the future? 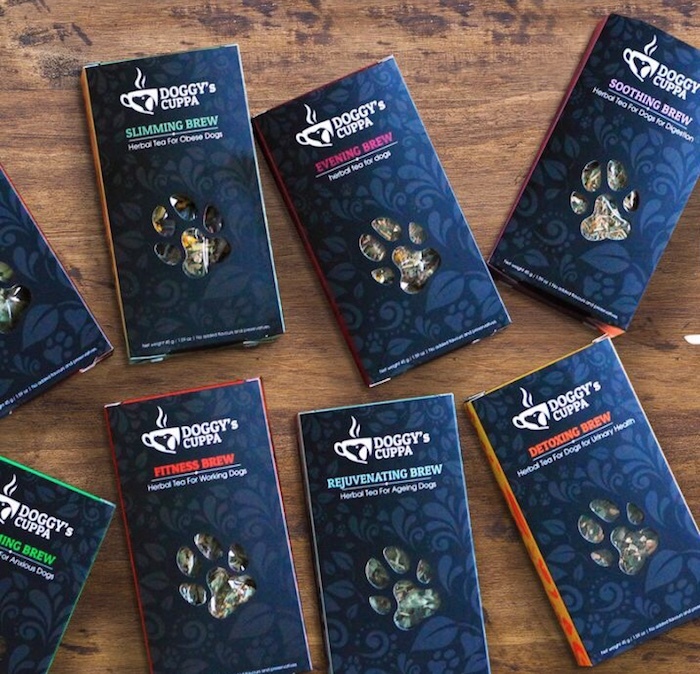 Once I have bedded down the key pet institutions I’d also like to see my products in human food zones like food halls, farm shops and delis, because people who harbour strong thoughts about what they eat are also likely to think about their pet in the same way. I’m also looking at a Kitty Cuppa because cats aren’t immune to the issues our dogs face. You can find out more about Doggy’s Cuppa on their website.